LYNNFIELD-Northrup Associates recently honored the firms Top 5 Producers for 2012 during their annual meeting and awards breakfast. At the meeting, Northrups Broker/Owners, Bernie Starr and Richard Tisei reviewed the companys growth over the past year and outlined plans for a productive 2013. Northrup is pleased to recognize these Realtors with this honor. Their competitive intelligence, professionalism and dedication have made them valued and trusted real estate resources for the North Shore community with each being major contributors to the overall success of Northrup Associates as a whole. said Broker/Owner Richard Tisei. Each of our Realtors maintains high standards of professionalism along with a quality of superior customer service. Northrups standard of excellence is not a goal; it is our Standard Operating Procedure. This is what makes us stand out among other real estate offices and it is what Northrup has been become known for and that each our clients expect, said Broker/Owner, Bernie Starr Helen Bolino has been the number one agent in Lynnfield sales and listings for twelve consecutive years with a total unit volume of more than $125 million dollars. Most recently she was names Top Producer with a sales volume of $14,487,350 for 2012. This award represented her investment of many hours of personal service and attention to her customers and clients. Helens trademark has been her knowledge of the real estate market, her tireless work ethic and superior customer service, said Tisei. Alex DeRosa and Elena Drislane of The Alex & Elena Team earned the distinction as a being Top Producers for 2012 with a total unit volume of $7,973,500. Both are consummate professionals who have built their business on the referrals of so many satisfied clients. Their competitive intelligence and dedication to their respective communities of Peabody and Lynnfield make them valued and trusted real estate resource. said Broker/Owner Richard Tisei Maria Miara has built and maintained relationships with clients that have continued to have her among the Top Producers at Northrup. Her top priority is to provide all of her clients with unparalleled service and personal assistance for their real estate needs, said Tisei. Maria provides her clients with the markets most accurate and updated information, is incredibly detailed, and executes even the most complex transactions while exceeding her clients expectations. Debra Cuozzo Roberts prides herself on a high level of honesty, accessibility, and personal service. She has a love of decorating and design and is available to lend advice and help with home staging and redesign prior to placing you home on the market. Debras proactive thinking and a high level of initiative and direct communications make her a vital representative for her clients, said Tisei. Overall, Northrup Associates market share and total volume grew both locally and regionally in 2012 ending the year with MLS statistics depicting a total dollar volume of sales of $75,149,521 with 149 properties sold throughout the Commonwealth of Massachusetts. 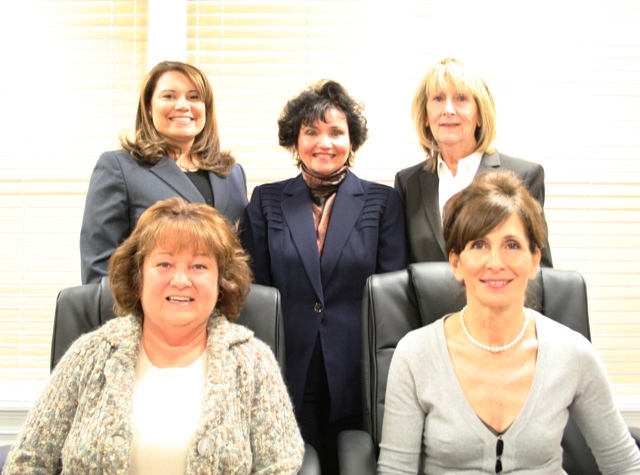 In 2012 Northrup Associates proudly closed more sale transactions that they have in the firms 60th year history. It is no wonder Northrup Associates has and continues to be Your Home Town Realtor. As a locally owned and independently run office, Northrup Associates is able to provide a level of service that others simply can not match. That has been the secret to our success in the past and will remain our guiding principle in the future. I would like to thank our entire sales force for their dedication, hard work and for providing distinct satisfaction to those customers and clients in Lynnfield, Peabody and the surrounding North Shore communities, concluded Tisei. Extension of numerous energy efficiency credits through December 31, 2011, including: the Energy Efficient New Homes, Energy Efficient Existing Homes, and Energy Efficient Buildings credits. 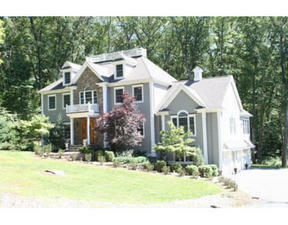 Northrup Associates specializes in the sale of luxury property in Lynnfield. We have a superb and extensive portfolio of luxury property in the area, available in prime locations throughout the town including new property, resale property, and land. 2009 was a terrific year for luxury real estate in Lynnfield. Our agents really made the difference; they are knowledgeable, understand the market, and have the know-how to make things happen. Even with an increasing local market, we have found that this is still an apprehensive time for those buying and selling property. Now more than ever, accurate pricing, effective marketing, and experienced representation make all the difference. This relatively new Colonial style home on Sagamore Golf Course is a beautiful addition to the Lynnfield luxury real estate market. A two-story foyer, granite counters, stainless appliances, and a fire placed living room are just a few of the amenities this luxurious home provides. View more details here. 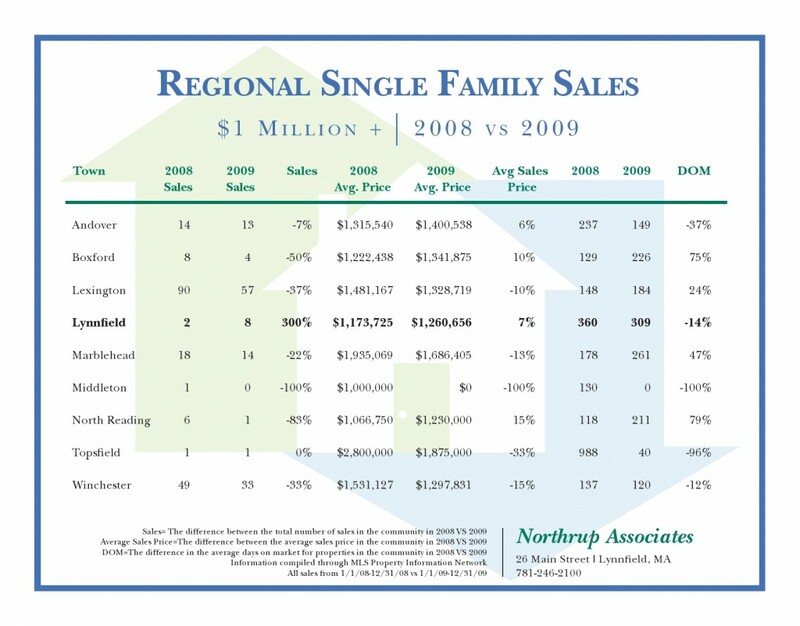 At Northrup Associates we led the region on almost every major category of performance and most noteworthy is the fact that the average sales price for a single family, luxury home in Lynnfield increased by 300% over the past twelve months. Eye-catching area of information. I merely located your internet site as well as in accession cash to say that I get involved point liked account the web site discussions. Any way I am subscribing to a person's nourishes or maybe I actually completion you obtain the ways to access constantly speedily. 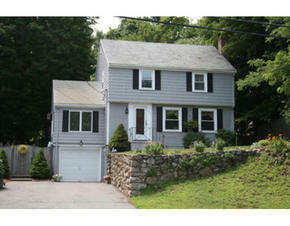 Check out Lynnfield Homes: Congress Extended the Tax Credit! Congress heard our need to both extend and expand the homebuyer tax credit to continue stimulating the housing sector of the economy.The Senate voted 98-0 and the House voted 403-12 on legislation that includes the extension and expansion of the credit. This is a perfect time for first time homebuyers, or experienced buyers, to check out some of the Lynnfield Homes Northrup Associate Realtors offers to Boston area home buyers. Explore this Lynnfield home. An ample amount of space, extensive utilities, beautiful landscaping, and a fresh new look make it a perfect piece of Lynnfield real estate to take advantage of the tax credit with! While markets differ from area to area, overall interest rates are low and housing choices are abundant. Let a Northrup realtor help you, someone who understands the nuances of each neighborhood and can apply real time local market expertise to your situation. Now more than ever, a Northrup REALTOR can answer all your questions and help you sell or buy your home. To read more about the consumer tax credit log, click here.